(c) the action taken/being taken by the Government in this regard and the present status thereof? 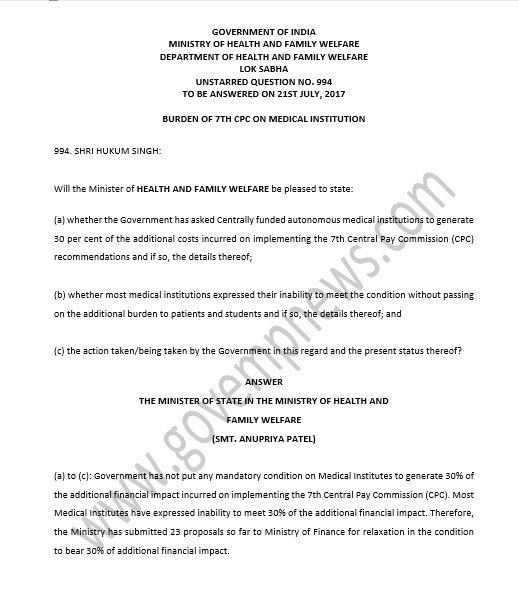 (a) to (c): Government has not put any mandatory condition on Medical Institutes to generate 30% of the additional financial impact incurred on implementing the 7th Central Pay Commission (CPC). 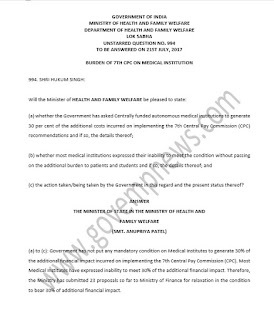 Most Medical Institutes have expressed inability to meet 30% of the additional financial impact. Therefore, the Ministry has submitted 23 proposals so far to Ministry of Finance for relaxation in the condition to bear 30% of additional financial impact.